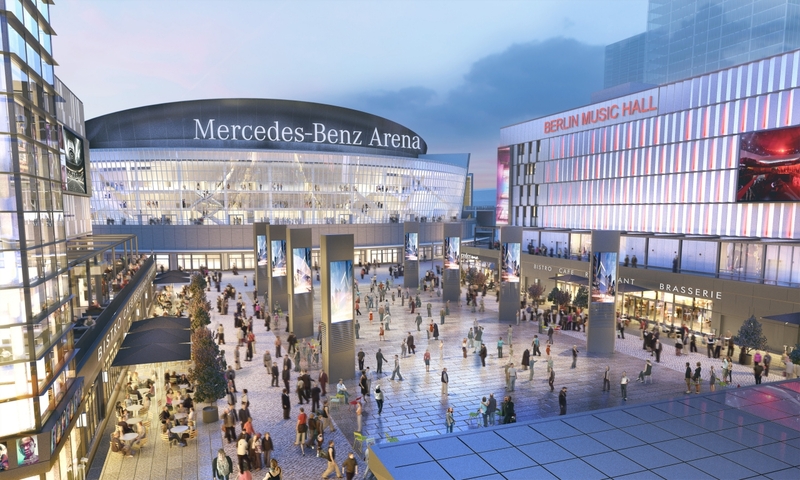 Caption: Artist rendering of Mercedes Platz courtyard with people walking between the buildings in front of the Mercedes-Benz Arena. AEG is developer for the project. AEG is developer for the project.